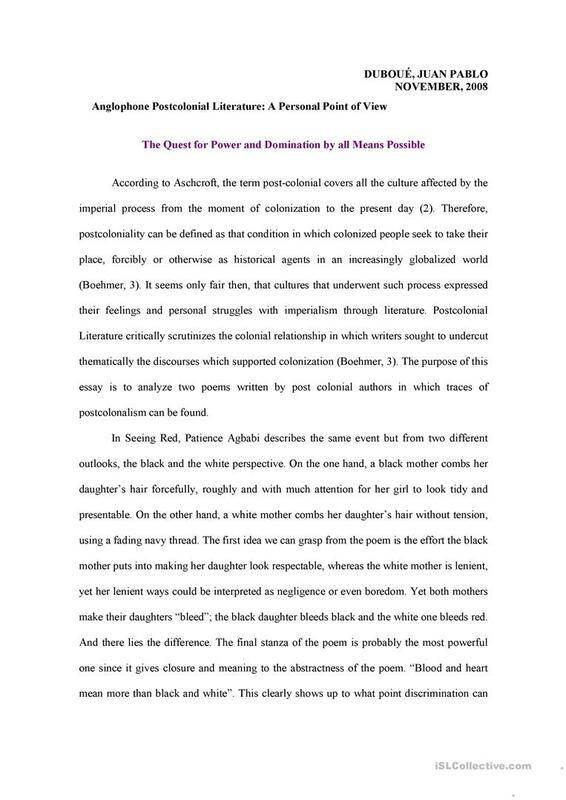 An essay I wrote for an Anglophone Postcolonial Literature when I was in University. The present downloadable worksheet was created for adults at Proficient (C2) level. It was designed for honing your learners' Reading skills.